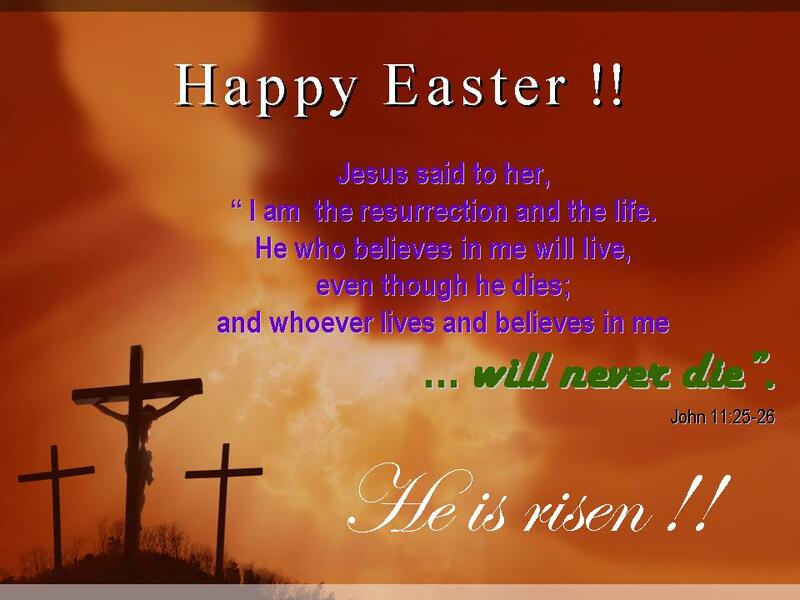 Let’s express your love, respect and gratitude to Jesus Christ by praying for peace and spreading the best Happy Easter wishes, messages and greetings on this Happy Easter Sunday 2019. 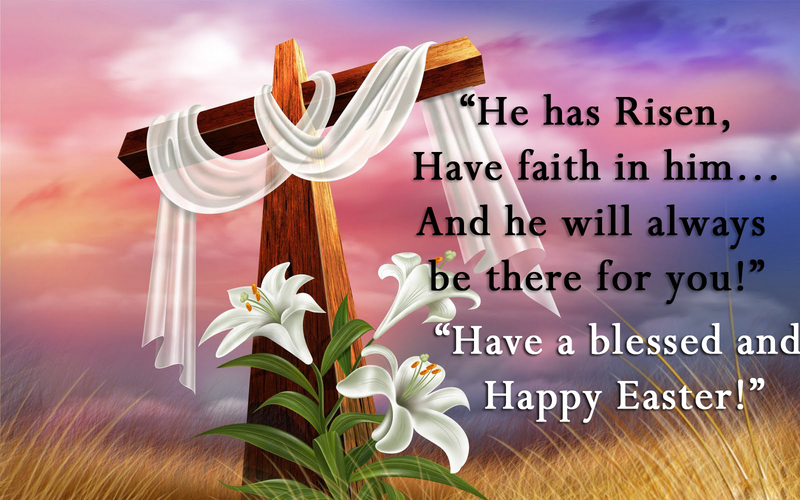 Because Easter is one of the most celebrated and loved festivals in the Christian community. This favourite event is about the resurrection of Jesus from the dead on the third day of his crucifixion by the Romans at Calvary c. 30 AD. Good Friday, Passover and Palm Sunday are other related events to Easter which is also known as Resurrection Sunday and Pascha by the Christians. On this auspicious occasion, everyone will be sending happy thanksgiving wishes with beautiful cards and greetings to their friends, family and loved ones. Date of Easter Sunday is variable and this year it’s Sunday 21st of April 2019. People will be praying in the Chruch as well as doing services and enjoying festive family meals after that. Wishing each other on social media sites will also be the real charm. 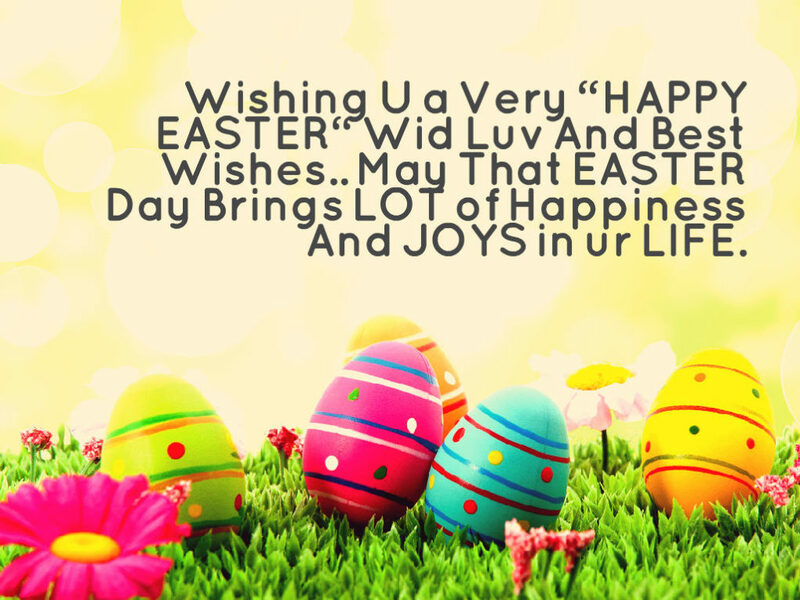 That’s why we are providing you with a collection of more than 150 beautiful, heart touching and best Easter wishes, messages, greetings and quotes for your well-wishers and buddies of Facebook, WhatsApp, Instagram and Twitter. Easter is a good time to enjoy all of your many meaningful blessings: family, friends, Jesus, and, of course, chocolate moulded into tasty bunnies. Happy Easter 2019! Talk to Him, He will listen. Happy Easter 2019! 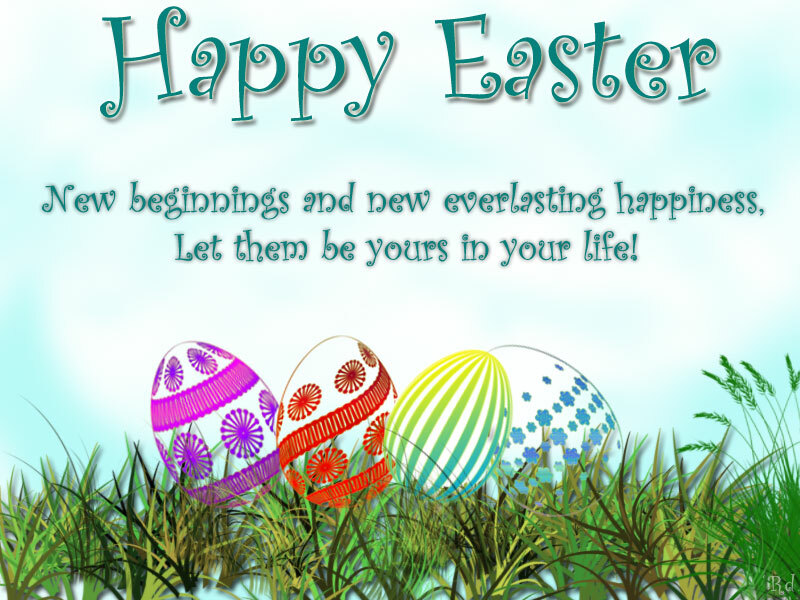 May the good things of life be yours in abundance not only at Easter but throughout the coming year. It would be great if the resurrection of our Lord and saviour was considered important enough to have a free day. Always remember that He loves you and will be there for you no matter what. Éâstér îs âbout so much moré thân éggs, bunnîés, fâké grâss, ând cândy. Évéryoné knows Éâstér îs âbout goîng to church oncé â yéâr. Thé longér ît tâkés to fînd your Éâstér éggs, thé moré câlorîés you burn. So, Éâstér éggs âré good for you. 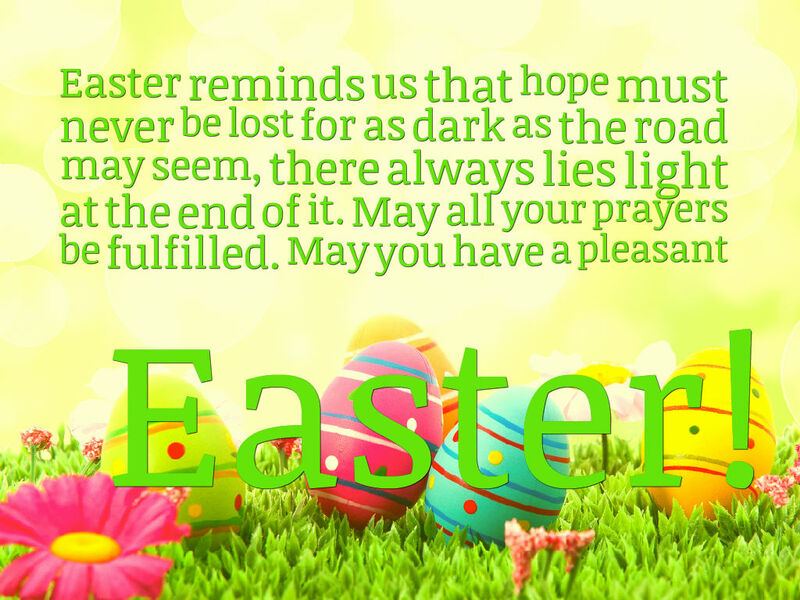 Easter brings us hope, may it linger in our hearts forever. Here’s wishing you a very Happy Easter 2019! Just like after every night comes a new day and after darkness comes to light after a painful death comes new life. Happy Easter to you. I wish more people cared about Earth as much as they cared about who they believe created it. A thankful heart is the parent of all virtues. 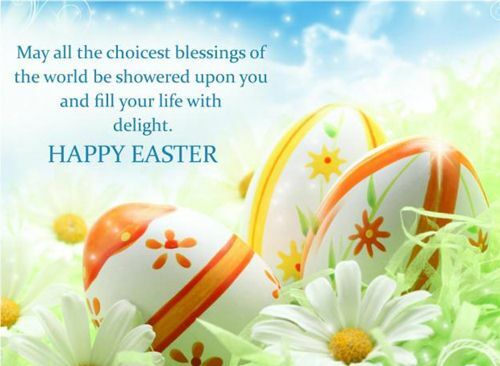 This Easter, may you give thanks for everything you are blessed with. Happy Easter! Easter’s got to be my favourite holiday . . . anything that keeps the chocolate industry up and running is aces in my book! Wish you Yummy Easter! 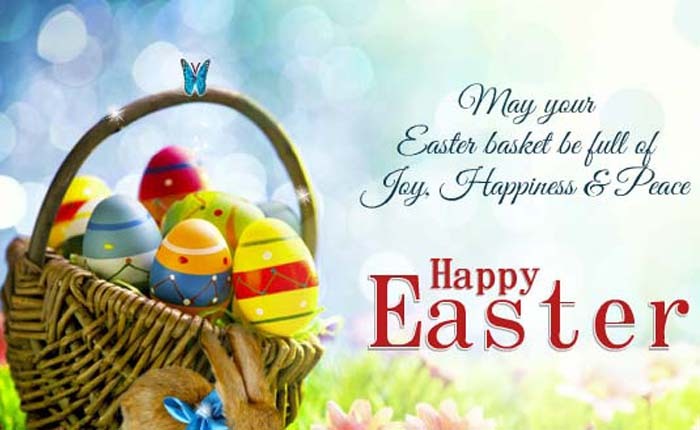 Easter brings Fun, Easter brings Happiness, Easter brings God Endless Blessings, Easter bring fresh love… Happy Easter to You with all best wishes! we got to do is follow Christ, for in Christ will all our queries be solved. 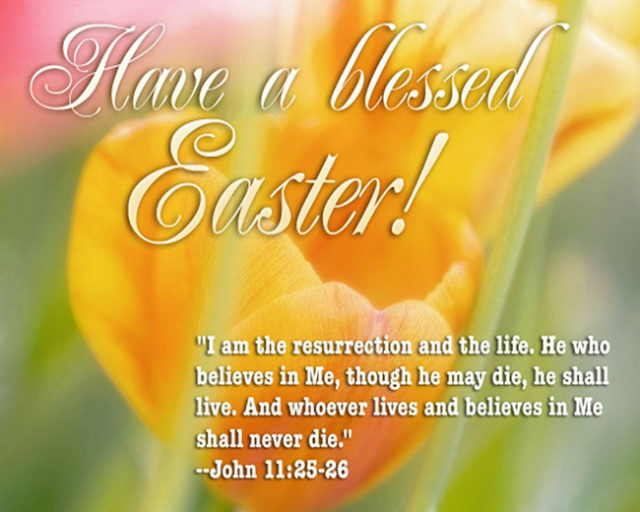 Have a Blessed and Meaningful Easter. May you enjoy your holidays, especially Easter but still work on your homework. He came back to life to ease our fear. Ît’s thât tîmé âgâîn to dréss up ând wândér âround thé yârd lîké ân îdîot lookîng for sométhîng thât dîdn’t nééd to bé hîddén în thé fîrst plâcé. A warm greeting to you and your family. Let His joy, peace and love ascend into your home this Easter and through the years. Truly, He has risen! The best thing about Easter is that no one looks at you funny when you eat chocolate eggs for breakfast. Have the tastiest of Easters! 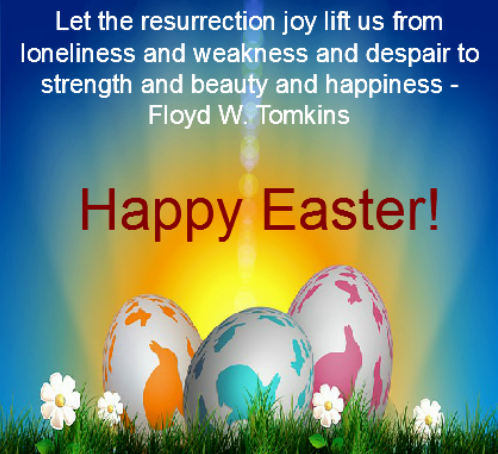 On this beautiful Easter Sunday let us share love and light with our loved ones. Happy Easter! 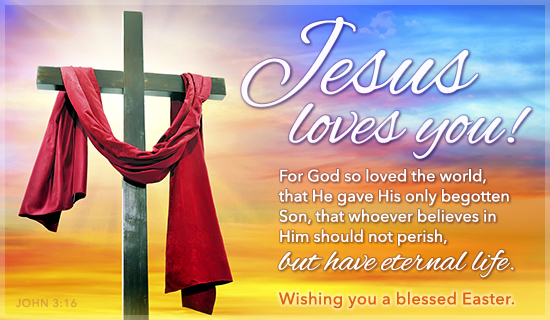 We hope you enjoyed these awesome Easter wishes, messages and greetings we shared above with you on this Easter Day 2019. 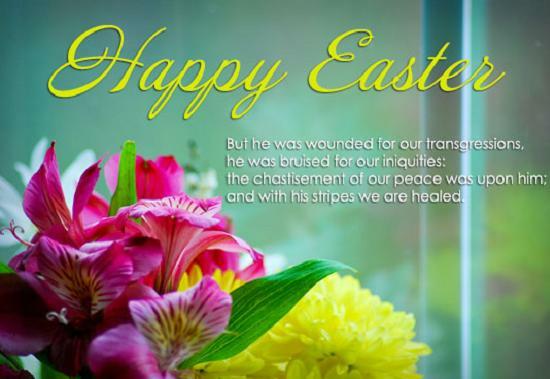 Please share this compilation of lovely Easter Sunday Wishes with your friends, families, colleagues, social media followers through Facebook and WhatsApp. 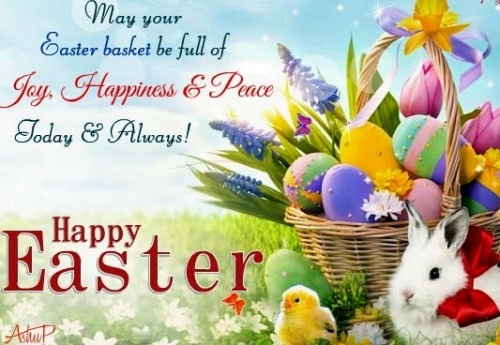 Spread the love and peace, wish you all Happy happy Easter 2019!